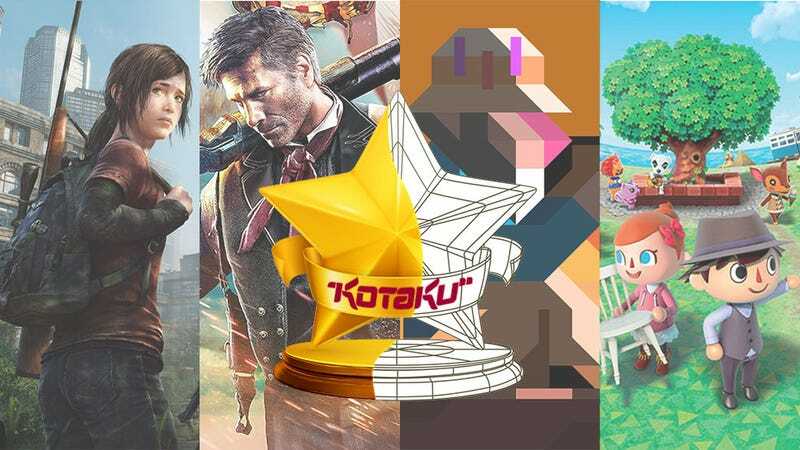 The year could end right now and we could already declare 2013 one of gaming's greatest years. Have we ever had a first half as stacked as this? Let's celebrate by having some friendly debates about which games were the best. First, to remind you of how good it's been, lets marvel at this horn of plenty we've been playing. This has been a six month period of Temple Run 2 and Ridiculous Fishing, of BioShock Infinite and The Last of Us, of Gunpoint, Antichamber, The Swapper and Monaco, of Injustice, Guacamalee, Battleblock Theater, and Luigi's Mansion Dark Moon. This has been a first half of a new Animal Crossing, a very new Devil May Cry and... wait... that superb new Tomb Raider was this year, too? And let's not forget Aliens: Colonial Marines. Hell of a first-half, people! I'll kick us off with some categories in the discussions below. Let's get the debate going in those. There won't be a formal winner, but let's see what kind of consensus builds. You're also free to make your own categories.